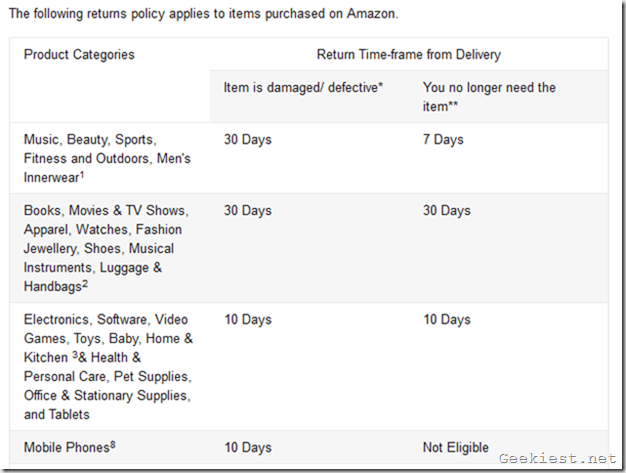 Amazon India has announced a rather unwelcome change to its Return Policy. The online retailer will no longer allows buyers to return Phones which they bought from its e-store. You won't get a refund for the phone you bought, but you can get a replacement phone, if the one you bought is defective. And the replacement policy is only valid for 10-days from the delivery date of the phone. More specifically, this change affects the Amazon Fulfilled phones only. So you could still return a phone to a seller, if the product is not fulfilled by Amazon India. But these devices are quite limited, and usually most sellers don't give a refund that easily. The reasoning behind the move is quite simple. People were misusing the Return Policy to send back the new phones after using them for a few days, even when the phone was not defective. So the seller and Amazon India had to bear the cost of the restocking fee (most likely sell them at a lower price as a refurbished phone) and the shipping fee respectively. All Mobile phones that are fulfilled by Amazon, purchased on or after 7th February 2016, will have a replacement only policy. 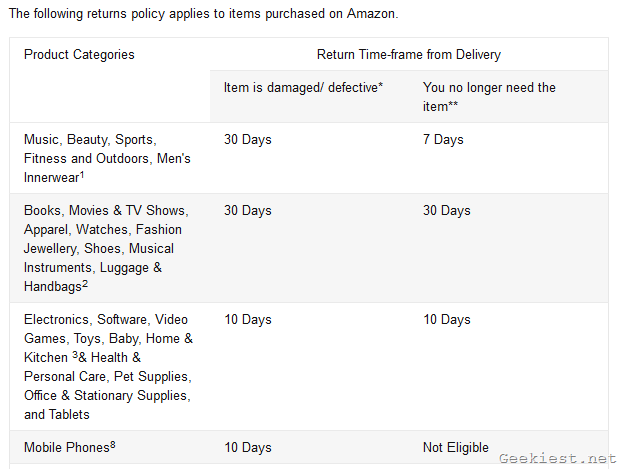 Mobile phone items that are fulfilled by Amazon will no longer be eligible for refunds. In case you have received a defective or a damaged mobile phone, you will be eligible for a Free replacement. It is because of a few unfair customers, that the rest of India has to suffer. But it is quite far to the seller, and the OEM. The 10-day replacement policy however, is a bit unfair to the buyer. Sometimes phones may stop working after 10-15 days, in which case, it will have to be sent for a warranty repair service instead, which usually, is a tedious experience in our Country. "More often than not though, Amazon used to take back phones even in a month. They were amazingly lenient. My friend bought a OnePlus One, and had some issue with the hardware of his device, which the company’s service center refused to help with. But Amazon India took back the phone even though 30 days had passed after the delivery date. So, clearly, such a restricted Return Policy will surely affect such genuine buyers.